The weather here is AWESOME for Halloween. Cool, clear, sunny – sorry east coast, we are hogging the good weather. For any who wondered, all my family and friends are accounted for and the worst that happened was some very minor lawn flooding and lack of electric. Not everyone was so lucky so I am hopefully they recover quickly. I like a hurricane (as foul weather goes), you have LOTS of warning. I highly dislike tornadoes – I think I’m living in the wrong place for weather prefrences on many many levels but I’ll focus on the gorgeous day today and the low humidity summers and not dwell on tornadoes or subarctic winter. Our plans are once around the block then to an indoor party and we are ‘those people’ who will be leaving a dish of candy on the step. I’m kinda glad we did Niamh as the sun was setting, I have so many good pictures it is hard to choose! More on flicker of both big girls. Next up Fiona!!!! Got some good pictures with legs and with tail. With all the fun bounce houses etc here for Halloween parties (indoors because sometimes it snows here) I had to make a costume that had a removable tail. Later I’ll get good ones of Firestar, her costume is currently in the wash due to some unfortunate chocolate milk drinking…. I made the dress and the tail. The bag my sister made for her own mermaid costume. I’m working on a how-to for the FireStar costume but it is longer then I thought. I’m also trying to, you know, clean and do laundry on my ‘free’ day (#1 and #2 at school) but I can’t resist my crafts (and sharing them). Pinterest, the font of all crafts, inspired this one but I am always on the lookout for a use for my million dumdum lollypops from the birthday topiary So far I have made bows for lots of birthday gifts and now this Halloween treat for the kids at school. The original one had google eyes but I figured that was a bit fussy for the 28 I planned on making. I’m thinking of adding a tag or something but I’m not sure where… Maybe make a spider web one that it can sit on. The original also used only black legs but I like the festive look of all the different colors, and, they corrdinate with the flavor/color of the pop. Really, you think there are rules in spider lolly pops? Believe it or not I got this from Martha Stewart. 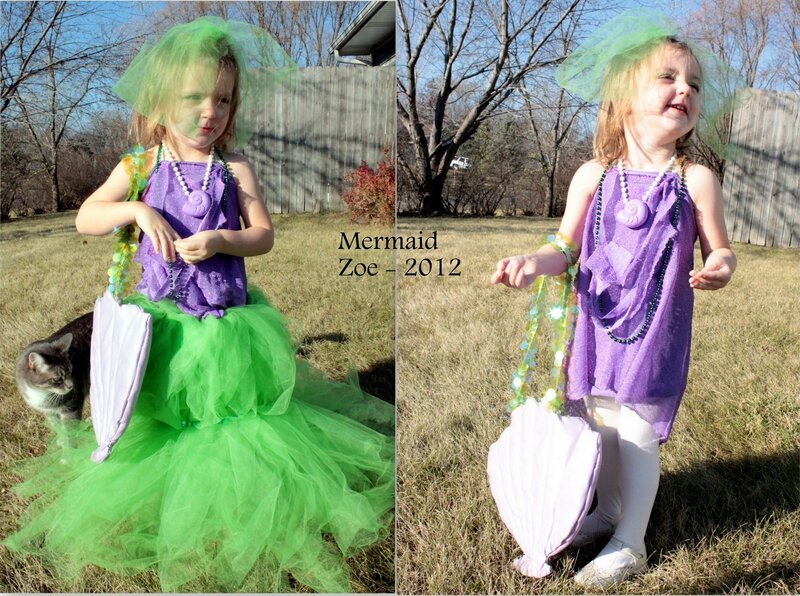 Here is her tutorial… It only took about 15min to put on and was remarkably easy to take off. I used liquid eyeliner as suggested but I didn’t use the eyebrow template they included, I skipped the layer of base they suggest and I used one of those cheepie cream make-up kits for the white, red, and large areas of black on my eyelids. It was freaky enough that good friends didn’t recognize me and it was a very fun look. I don’t look exactly like the model but I think she has a pretty different face shape and I got the dramatic look I was going for so that is what counts…. I hope someone got a better picture then this! Brought to you by the makers of kindle fire.